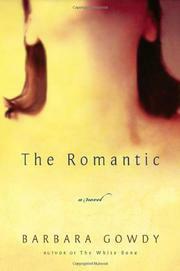 In this tender romantic tragedy by the ever-insightful Gowdy (The White Bone, 1999, etc. ), love’s labors lead to naught when a long but not easily entwined couple let alcohol come between them. Skittering back and forth across more than a decade of Louise Kirk’s involvement with Abel Richter, the narrative opens in 1960, when Abel moves into ten-year-old Louise’s Toronto neighborhood not long after her mother abruptly walked out. Seeking a surrogate, Louise is drawn first to Abel’s larger-than-life mother, but soon she attends more to the quiet, gentle boy who never speaks ill of anyone. Louise is inclined to rage, however, and as time passes Abel gives her plenty of reason. His family moves to Vancouver not long after they realize they love each other, and Abel doesn’t answer any of her letters, but when he comes back for a visit Louise throws herself at him with such abandon that she immediately becomes pregnant. He doesn’t know, though, having returned to Vancouver, and when Louise flies out to tell him she finds him kissing someone else. She aborts with the aid of her herb-wise housekeeper and gets on with her life. A determined underachiever, she follows a stint as a bookstore clerk with a secretarial job for a semiretired broker and dallies with a draft dodger from the States. But she knows that the Richters have returned to Toronto, and when word comes that her mother has died, followed shortly by the urn containing her ashes, it’s to Abel that she turns for comfort. Unfortunately, he’s already well down the alcoholic path to self-destruction, and Louise is just in time to help him enter his final phase. Somewhat reminiscent of Leaving Las Vegas, but Gowdy’s version of booze-thwarted love shows considerably more complexity, and her focus is squarely on the survivor.